Dragline operators, as controllers of one the most energy-intensive equipments in surface coal mines, play a significant role in dragline energy efficiency and thus mine profitability. The literature lacks work that explores monitoring system data and applies data-driven methods to gain a better understanding of dragline operation and develop more effective training approaches. 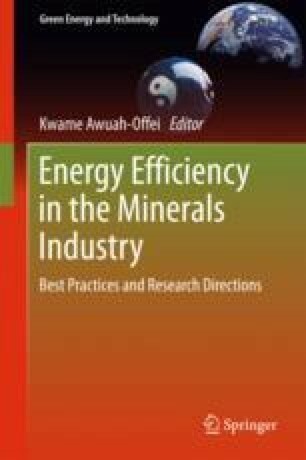 This chapter provides a framework for assessing dragline energy efficiency performance using monitoring data and using such work to improve operator training. The first step in improving dragline performance is the assessment using data from dragline monitoring systems to estimate an overall performance indicator. Next, the analyst should apply a comprehensive algorithm to quantify the relationship between different operating parameters and the overall performance indicator. Finally, operators’ performance can be improved by using the results to optimize operator training.